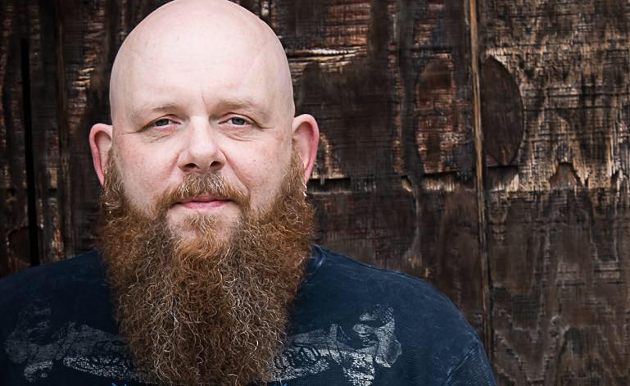 There are only a few musicians who can truly tie themselves back to the emergence of the Red Dirt scene that exploded in and around Oklahoma in the 90’s, and songwriter and performer Brandon Jenkins is one of them. Known as the “Red Dirt Legend” (which is also the name of his record label), and for his big bushy beard and the often-covered song “My Feet Don’t Touch The Ground,” Brandon is beloved in the Texoma music scene and well beyond. The Tulsa, Oklahoma native is currently in the hospital after discovering he was suffering from a major heart issue. After running numerous tests, it has been determined he needs a new heart valve, and will be undergoing heart surgery in the next week or so. “I ain’t gonna lie, they got me pretty scared,” Jenkins said on February 2nd, and then confirmed the heart valve issue and upcoming surgery on February 3rd. The serious health issue comes right as he is set to release his latest record Tail Lights in a Boomtown on February 9th, which includes a duet with fellow Red Dirt legend Stoney LaRue. Jenkins was also scheduled to perform at the inaugural Mile 0 Fest in Key West, Florida this upcoming week, and had to cancel. Though Red Dirt is known mostly for emerging from Stillwater, Oklahoma, Brandon Jenkins is one of numerous Red Dirt musicians who finds their compass in music from Tulsa. Jenkins’ father was a well-known disc jokey in Tulsa, and his uncle is Gordon Shryock, who is a Grammy-awarded bass player and producer known for working with Tulsa music legends J.J. Cale and Leon Russell. Brandon Jenkins met many of the well-known names in Red Dirt music like Cody Canada, Stoney LaRue, and Mike McClure while attending Oklahoma State University in Stillwater. He moved to Austin in 2003, and then relocated to Nashville in 2016. Many fellow Red Dirt musicians have covered Brandon Jenkins songs, and he tours frequently behind his independently-released albums. “Thanks y’all for all the Love and Prayers… I can feel it!” Jenkins says to fans and well wishers. His upcoming album can be pre-purchased on iTunes, and you can also donate to him directly via paypal. You can also purchase “Hearts Beat for Jenkins” merch that will go to support his hospital bills. I pray for Jenkins speedy recovery. How old is he? I see he graduated in 87 so that makes him maybe 8 years older than me – 49? I ask because during a routine physical in my teens (early 90s) I was diagnosed with a mitral valve prolapse – one valve closes slower than the other. I was put on all the crazy regiments including taking meds before I’d got to the dentist which would make me violently sick. Finally, I said enough. I’m not going to live like this! If it takes me, it takes me later in life and I went an found an ignorant dentist and doctor. However, 40 is here and articles like this make me pause. If you need the surgery go have it done. I had open heart surgery December 1st to fix a mitral valve prolapse and it was the smartest thing I could have done for myself. I’m 55 and been experiencing shortness of breath and a general lack of energy for years. Like you I was reluctant to get my chest sawed open and the damn thing fixed. Lets face it, its a damn scary thought. But really it is a routine operation these days with a very low chance of things going bad. 2 months after the procedure I can honestly say I havn’t felt this good in 10 years. I’m walking 5-6 kms (3-4 miles) or more everyday and getting things done around the house and property I have put off for years. It is worth the painful process to feel alive again. Hang in there Brandon, you have more than you know prying for you and the family! Thanks for updating us on this, didn’t know he was having this issue. His upcoming album can be pre-purchased here https://itunes.apple.com/us/album/tail-lights-in-a-boomtown/1325390870 and is due to release on February 9th…myself and his manager Dave Percefull, and the rest of Brandon’s team, thank everyone for their prayers and support and ask that they continue. Brandon does have a paypal account where donations can be made to him also. http://paypal.me/BrandonJenkins682 is that link. Thanks for the info Dillon. He was talking about why he didn’t do musicfest on facebook this year and he said because he got majorly sick the last few times he went with the altitude. Maybe it was because of this. With Less oxygen at high altitude his heart has to pump more blood through. His heart had to work harder get the normal amount of oxygen to your body maybe it was a sign is all I am saying. I’m partial to the Red Dirt Scene, being from and still living in Central Oklahoma, myself. I’ve even visited the site of the fabled “Farm”, which i can honestly say had an extremely strange but happy vibe. People still hang out on the location, sometimes. My phone was screwing up and posted before i was finished composing my post. I’ll continue here on my PC. When I visited the now-defunct farm, there was evidence that people still go there. Bonfire remnants, empty beer cans (and zig-zag packs lol). It’s a very interesting scene to me and many of my favorite bands came from the area. This is so unfortunate to hear about. I’ll be sending my thoughts and prayers to Brandon Jenkins for a speedy recovery. I bet he’ll be back on his feet and banging away in no time. I am putting together a benefit concert at the Rockin Rodeo in Denton on Feb 18th. 100% of every dime will go to Brandon. There are close to 30 artists performing. Food trucks, raffle, etc. Fellow Punk Rocker here. I feel late to this but something made look him up to hopefully find a show here. I first saw him at the Cypress Saloon Houston/Cypress TX 2000ish and I was dragged to a country bar by my childhood best friend so I was definitely out of place until here walks in a bearded cut off Jean jacket, patched up, tatted up and an ACDC shirt. It was unmended came out. I was shocked to see what I was seeing. As a musician myself, I was blown away by what I was hearing. Instant fan, even got it signed. Since then i have bought all his CDS and have listened to him through current times, so to hear this, it saddens me to hear of his passing. Hits me close even though I don’t know him personally. Great musicians are hard to come by making album after album and none of them sucking. I am praying for his family for this difficult time and hoped one day I could let him now the impact his music has had on me since I’ve discovered him. His music has gotten me through rough times and motivated me in other areas. Even not including music, he’s a great man and I have the most respect for him. Again praying for his family as no one deserves to lose someone amazing in every aspect. To Brandon, rock them pearly gates of and one day I’ll be there front row horns in the air. I just wanted to share this because it had impacts through all genres, my band has even covered a few of his songs at shows in tribute to him. Ki77ING C7over out! Oi oi!